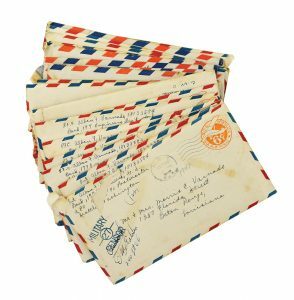 Nearly 50 letters tell the wonderful Pacific Theater experience of Alban Varnado to his mother and father. They were purchased as a group on eBay by a very thoughtful donor. 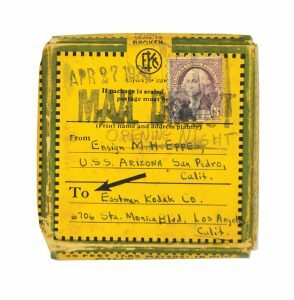 USS Arizona crew member Ensign Eppes received permission from his commander to use his personal 8 mm movie camera to document the equator crossing ceremonies and proceeding events. He writes, “From the tales I have been hearing we can expect almost anything and will probably get even more than that.” This wonderful original movie footage was recently donated to us by Eppie Azzarretto. World War II touched the lives of nearly everyone across the world, and its impact has echoed throughout the years and through generations of families. The date that launched the United States into global war, Dec. 7, 1941, proved to be a turning point in history. At the USS Arizona Memorial, we commemorate the attack on Pearl Harbor and the people who died defending our freedom. Since 1980, the National Park Service (NPS) — which operates the Memorial, the Visitor Center and the museum — has ensured the preservation and interpretation of the tangible historical resources associated with the attack. In 2008, President George W. Bush created World War II Valor in the Pacific National Monument (VALR) to consist of nine historical sites in Hawaii, Alaska and California — including the USS Arizona Memorial. These sites contribute to telling a comprehensive and broad story of the Pacific War, where citizens can expand their understanding of World War II in the Pacific, hone their research and share legacies with younger generations. The full story of the Pacific War cannot be told solely by the sites of VALR. The story must also be told with tangible artifacts, such as diaries, memorabilia, personal effects, photographs, letters and books. These items help tell the human side of war. As the Pacific War progressed, it was clear to the Allies that all countries could contribute to the war effort. 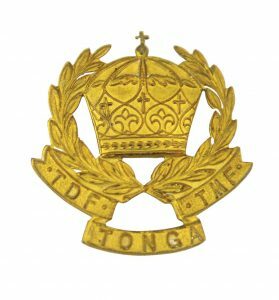 In 1943 New Zealand trained around 2,000 Tongans who became part of the Tonga Defense Force. This pin was donated by a patron wishing to remain anonymous. It’s a very interesting piece that helps tie the entire Pacific War story together. 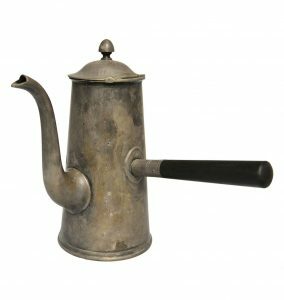 Lorey Duffy donated this silver side handle coffee pot manufactured by International Silver to the USS Arizona Memorial. The object was originally salvaged by diver Joel Aubrey who recovered it from the Ward Room aboard the USS Arizona. Citizens like you have donated more than 95 percent of the 60,000-plus artifacts curated by the NPS at VALR. Some of the artifacts need to be encased in an environment that will preserve and protect them when on display, and your monetary donation could be used to acquire these protective display cases. Your family’s past will enrich our nation’s history. The U.S. government manages artifacts for future generations. Artifacts will be around indefinitely and available for everyone. The NPS, with its partner Pacific Historic Parks, strives to use collections for learning and appreciation. We make our collections available for exhibition, publication, research and education. To get a complete understanding of our museum, please read our Scope of Collections Statement. If you are interested in donating, please call the museum curator’s office at (808) 422-3333 and ask for the Donor Information Packet. 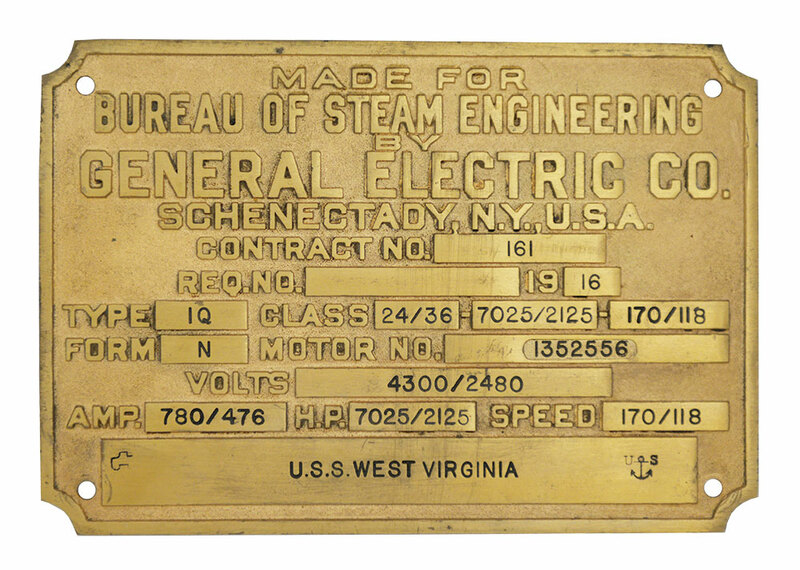 This name plate of the West Virginia is in the middle of being accessioned into the World War II Valor In The Pacific National Monument’s museum collection. All accepted donations must be accessioned, cataloged and stored properly for future generations. The first step is to establish an objects provenance and ownership through research, interviews and observation.